VIDEO: Do Your Kids Turn Into Greedy Monsters During The Holidays? Is this what your kids are like on Christmas, only with presents? In order to keep your kids (and the rest of the family) sane on Christmas day, try planning some fun, low-key activities for the afternoon. 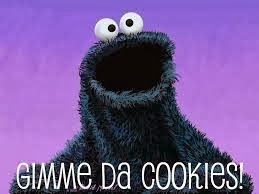 Movies, baking, board games, arts and crafts, volunteering. Anything that allows the family to interact with one another in a positive way can help keep you from experiencing the "Christmas let-down." Thanks for reading, and Merry Christmas! 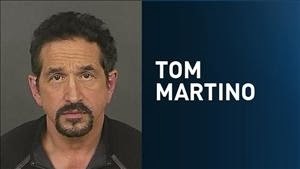 --Max Wachtel, Ph.D.
Tom Martino, the infamous radio talk show host and consumer advocate in Denver, was arrested over the weekend for assault and disturbing the peace. According to police documents, he and his wife were in their car when they started arguing over a mobile phone. His wife allegedly tried to get out of the car at a stoplight, at which point, Mr. Martino is accused of pulling her back into the car and punching her in the face. The two then drove home, where he was arrested. In an apology statement issued by Mr. Martino after he was released from jail, he admitted that both he and his wife were drunk at the time of the incident. Aside from the issue of drinking and driving, for which Mr. Martino was not arrested, there is the issue of domestic violence. The majority of domestic violence incidents do not make the news. In fact, if news organizations covered every domestic violence arrest, there would be absolutely no time for anything else. According to the National Institute of Justice and the Centers for Disease Control and Prevention, nearly 25% of women will experience a domestic violence incident at some point in their lives. They estimate that 1.3 million women are abused each year, with 20-24 year-old women being at the greatest level of risk. Most domestic abuse incidents are not reported to the police. Not the cheeriest of thoughts, is it? 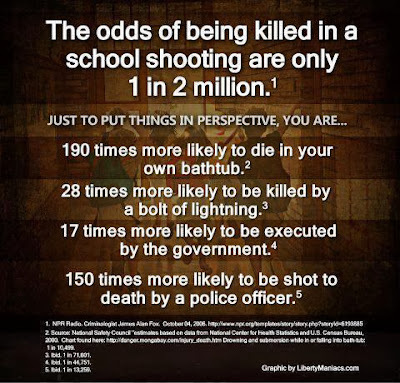 VIDEO: School Shootings: What Are The Odds? In December of 2012, after the Newtown school shooting, I wrote a series of blog posts outlining the odds of a school shooting occurring in the US in any given year. In those posts, I calculated the odds of a shooting happening anywhere in the US, and I also calculated the odds of a shooting happening at a particular school. The short version of the blog posts: It is almost a guarantee that at least one school shooting will take place in the US in any given year. In fact, the average number of school shootings per year in the US is just over 2.5. 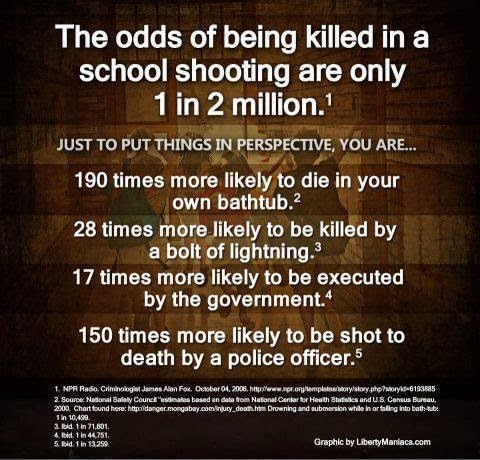 But, the odds of a shooting happening at your child's school are extremely low. If your child is in elementary school, the odds are about 1 in 141,000. If your child is in high school, the odds are still low: about 1 in 21,000. School Shootings: What Are The Odds, Part II? School Shootings: What Are The Odds, Part III? It is important to remember it is extremely likely your child will never experience a school shooting. However, it is also extremely likely somebody's child will experience a shooting in a school. Given the population of the United States, the number of public and private schools around the country, and the relative rarity of shootings in schools, do you think 2.5 shootings per year is an acceptable level of risk for our nation's kids? In the wake of the Arapahoe High School shooting in Littleton, Colorado yesterday, I was on 9 News to talk about some of the struggles kids may have this weekend while processing what happened. It is important to recognize that many students are going to be having extreme reactions over the next few days, but these stressors won't last. For most people, kids included, the stressors that come from a traumatic event dissipate on their own with no need for professional help. For a small number of people, the symptoms last for months and can eventually turn into PTSD. Fortunately, this is rare. Some students will have absolutely no ill effects from the events yesterday. This is also rare. What is more typical is that students will be stressed, sad, angry, scared, and confused for a while--anywhere from a few days to a few weeks. Parents and relatives need to understand their kids may need some extra attention during this time. It may be necessary to explain to them what is happening and why they are so upset. It can also help to explain to them that it is probably just temporary and that they need to reach out for help if their problems are not going away. Most important is to be comforting. Sometimes, kids just need you to sit with them and listen to what they have to say. Or hug them while they are crying. Or lie down next to them at night when they are having nightmares. You don't have to 'solve' the problem for them--just let them know you are there to support them. 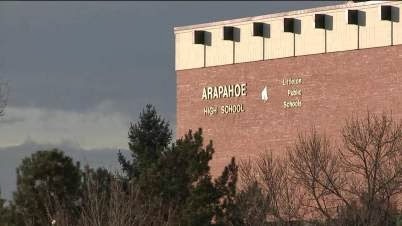 Also, do not be surprised if kids who were not at Arapahoe High School have problems with stress this weekend. You don't always have to be there to be hurt. Mental Illness And The Death Penalty: Can The Aurora Theater Shooter Be Executed If He Is Mentally Ill? In November of 2013, the defense team for the Aurora theater shooting suspect filed five separate motions with the court. These motions were written after the court had received the sanity evaluation from the state mental health hospital in Pueblo, Colorado. 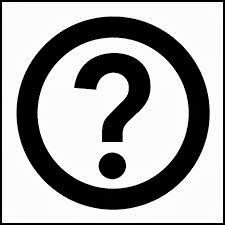 At the present time, the public does not know exactly what the sanity evaluation says. But, we have some clues. For example, one of the defense motions requests that the death penalty be taken off the table because the shooter has a severe mental illness that would render execution a violation of his 8th Amendment Right against cruel and unusual punishment. So, although we do not know if the report suggests the shooter is insane, it is likely to document a significant mental illness--probably something like Schizophrenia. 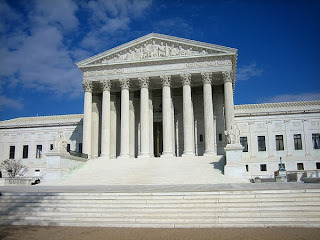 Ford v. Wainwright (1986): In this case, the Supreme Court ruled it is unconstitutional for a person to be executed if he is insane at the time of the execution. In this case, insanity at the time of execution is different than insanity at the time of the crime. In order to be insane at the time of execution, a person with a mental illness must be 1. Unaware of the punishment he is about to face, and 2. Unaware of why he is about to receive his punishment. So, if a person with a severe mental illness is aware he is about to be killed by the state because of the crime he committed, he would be deemed sane under the Ford v. Wainwright standard. His execution would then be legal. Panetti v. Quarterman (2007): In this case, the defendant understood he was about to be executed because the state said he killed someone. But, he was under the delusional belief that the government was actually executing him for political reasons. 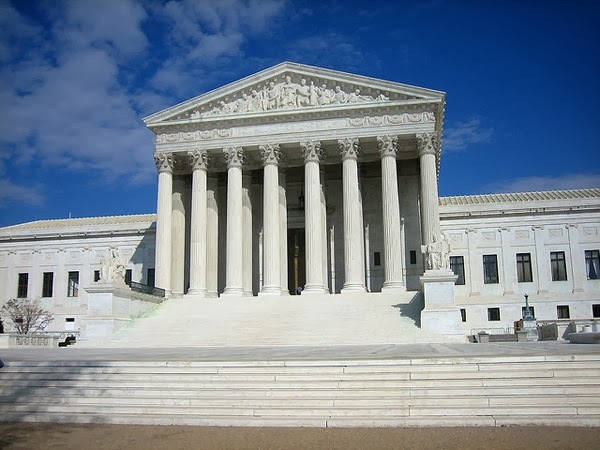 In this case, the Supreme Court ruled that even if a defendant can identify the punishment and the stated reason for the punishment, a mental illness could render him insane if it keeps him from comprehending the meaning and purpose of the execution. Because of these two precedents, it is important for defense teams to understand if their client is sane at the time of execution after their client has been convicted. Typically, forensic psychologists will conduct an evaluation to determine if the person understands he is about to be killed, understands the stated reason for his execution, and comprehends to meaning and purpose of the execution. If he is found to be incapable in one of those three areas due to a mental illness, a Court should find him insane and rule he is ineligible for the death penalty. If a severely mentally ill defendant is found to be competent in the three above-mentioned areas, he can be executed, despite his mental illness. The problem, in my mind, with the Aurora shooter's defense team arguing his mental illness makes him ineligible for the death penalty at this point is that it is too soon. Presumably, he has not undergone a 'competency to be executed' evaluation yet. And, even if he is convicted, it will be years before he faces the death penalty. Many things can happen over such a long timespan, and a person with a severe mental illness can improve greatly over the course of time. 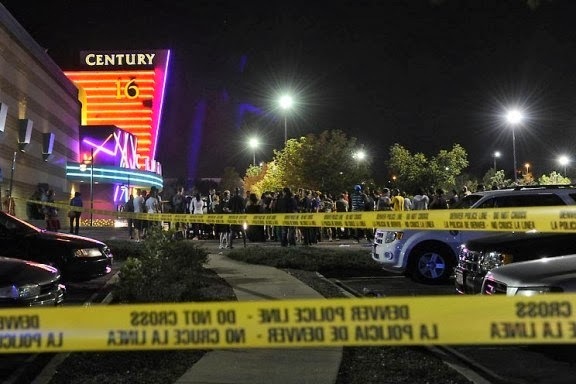 I am not a lawyer, and I am not the judge in the Aurora theater shooting case. I am also not a huge fan of the death penalty, nor am I a fan of the shooter. However, based on past case law, it seems to me that the judge will have no choice but to deny the defense's motion to remove the death penalty in this case at this time. Traci Cunningham, a 28 year-old woman from Aurora, Colorado, confessed to the murder of her mother in Eagle County earlier this week. From the arrest affidavit, she reportedly told investigators that she and her mother were arguing over her lack of cooperation in completing chores and housework. She went on to tell the police that she found her mother's gun in the trunk of her car and "everything goes black." Is that possible? Can a person black out and commit murder without knowing what she is doing? The short answer is, "Yes." The slightly longer answer is, "Yes, but it is extremely rare." There are certain mental illnesses that can cause something called a dissociative state, where a person has the experience of leaving her body and losing control of her actions. This state often causes temporary amnesia--the person will not remember what she did while dissociating. Interestingly, this is a very rare condition and happens to very few people with mental illness. However, it is one of the most common claims people make when they are talking to police about a murder they just committed. If they do not argue self defense, they often try to argue that they blacked out, which would then raise the issue of sanity at the time of the offense. What do you think? Is it possible for a person to black out and lose control of their actions (when drugs or alcohol is not involved)? What Types of Gifts Will Make You Happiest This Holiday Season? trip, or will he describe in detail the PS4 he got for Christmas in 2013? 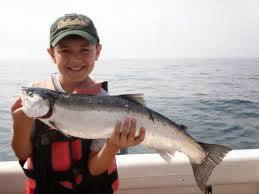 The example I used in the video was a buying a television versus paying for an experience like a cruise or going out for dinner. The television is going to give you a lot of joy and excitement in the beginning. You will get a rush of endorphins and dopamine, and it will feel very good. A few weeks later, when you are sitting on your couch staring at the television, it will feel just like you are watching your old television. Nice, convenient, relaxing, but not much different. television that was new in 2013 will be in a landfill.